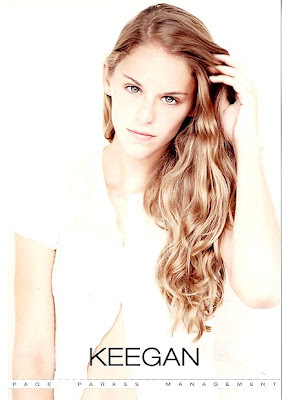 Page Parkes Model + Talent: Our Model Camp Grad Doing BIG Things in the BIG Apple! Our Model Camp Grad Doing BIG Things in the BIG Apple! Our stunning Model Camp Graduate, Keegan Wheeler, is having the time of her life in NYC! Check out these fantastic photos of our model living it up in the Big Apple! Here is Keegan (far left) at the Red Door Spa Event. Models, pose for the camera! And here she is again (left) at the Gretchen Jones Presentation. Keep up the hard work Keegan!